Carol J. Bickford, PhD, RN-BC, CPHIMS, FAMIA, FHIMSS, FAAN, has extensive experience in healthcare and nursing standards and policy development. She has presented and published extensively both nationally and internationally. As a Navy Nurse Corps officer, Dr. Bickford served as project officer for two enterprise healthcare information system implementations and completed her military career as Navy Medicine’s HIT education and training coordinator. She currently addresses nursing informatics and nursing scope and standards of practice issues at the American Nurses Association and serves as faculty for the Weekend Immersion in Nursing Informatics (WINI) continuing education program. Kathy Owen is a seasoned clinical and informatics specialist with more than 35 years of healthcare experience. Prior to joining Kronos Kathy held multiple roles in Nursing Informatics including Informatics Nurse Specialist and Director of Clinical Informatics. Kathy has been an active member in HIMSS for 14 years and is currently Co-Chair of the HIMSS Nursing Informatics Education Workgroup focused on providing quality informatics education webinars within HIMSS. After receiving her BSN from Northern Illinois University Kathy began her career in Pediatric Intensive Care at Children’s Memorial Hospital (now The Ann & Robert H. Lurie Children’s Hospital of Chicago) and worked in various roles over her 30 years at the organization. She received her Master’s Degree from DePaul University in Nursing with a focus on education. In her spare time she has taught for both DePaul University and Chamberlain College of Nursing. She also has her ANCC Board Certification in Nursing Informatics and has been instrumental in promoting NI through her work with HIMSS and the American Nursing Informatics Association. Lisa Lyon works at Cherokee Nation Health Services, a Tribal Health organization in NE Oklahoma as the Sr. Clinical Informatics Coordinator. Lisa has worked in every avenue of healthcare, before landing in the role of informatics. Starting her career in a small town hospital in Pryor OK, prior to moving to Indian Health and becoming a certified diabetes educator, she worked in various roles throughout NE Oklahoma. Lisa has served as a consultant and knowledge expert to various Indian Health, tribal and national organizations for both diabetes and health IT. She received her MS in Healthcare Informatics from the University of Colorado after finding her passion in nursing was informatics. She is a past ONC (Office of the National Coordinator) Health IT fellow and alumni, past member of the HIMSS (Health Information Management Systems Society) Nursing Informatics Committee and is a HIMSS Senior member. 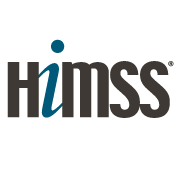 She currently serves on the HIMSS Nursing Informatics Education and Networking Taskforce. In addition to this, Lisa is the Health Committee Chair for TribalNet, with the primary purpose of bringing tribes, tribal employees, and resources together.